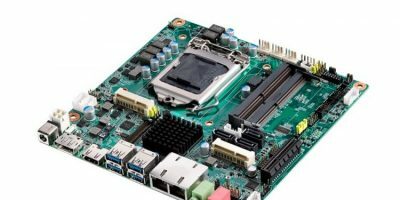 The latest desktop Thin Mini-ITX industrial motherboard from Advantech supports 8th generation Intel Core processors, with up to six cores. There is also Intel’s 9th generation graphics engine for video acceleration, adds Advantech. The AIMB-286 uses the Intel H310 chipset that has a thin, flat design of just 25mm. It is bundled with Advantech’s smart software suite WISE-PaaS/RMM for cloud computing. The AIMB-286 can be used for industrial applications such as machine control and self-service machine systems that increase operation efficiency. The AIMB-286 Thin Mini-ITX builds on the standard Mini-ITX form factor and offers multiple expansion interfaces including an M.2 B key for 4G/LTE connectivity or storage, M.2 E key for WiFi connectivity. It also supports three GbE LAN, eight USB (four USB3.0 + four USB2.0), and one single PCIex4 slot which allows the installation of different modular add-on cards. This is particularly useful in factory automation, machine vision and robotics where multiple video cameras connections are required for video capture, object detection and examination. AIMB-286 also supports six COM (COM2/3 supports RS-232/422/485 auto-flow control, COM 1 supports 5.0/12V), and 16-bit digital programmable I/O, which allows connectivity for peripherals modules and for multiple I/O programming. Two Thin enclosures are also available from Advantech to fit the AIMB-286. The EPC-T2000 and EPC-T3000 are durable, reliable Thin system solutions of only 1U height (44mm) developed specifically for industrial use. 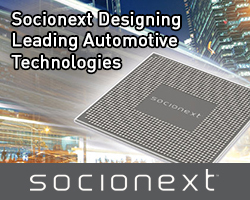 They are designed for embedded applications requiring a ready-to-use slim box with powerful computing and high graphics capabilities. 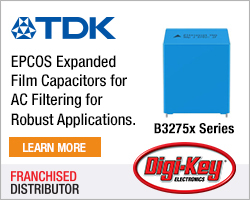 The EPC-T3000 allows installation of one full-height PCIe add-on card, offering flexible expansion for space-limited applications. 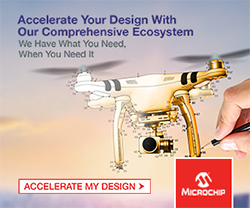 Advantech’s Embedded-IoT Group offers a range of embedded design-in services but also provides diverse integrated IoT solutions that assist customers with IoT adoption while minimising uncertainty and risk. Advantech’s integrated IoT solutions include sensor nodes, gateways, Edge Intelligence Server (EIS), and the WISE-PaaS IoT software platform. To embrace the trends of IoT, big data, and artificial intelligence, Advantech promotes IoT hardware and software solutions with the Edge Intelligence WISE-PaaS core to assist business partners and clients in connecting their industrial chains. Advantech is also working with business partners to co-create business ecosystems that accelerate the goal of industrial intelligence.